HomeRight is a reputable paint sprayer manufacturing brand that has been in the business for over 25 years. The company has several categories of paint sprayers which includes Airless Paint Sprayers and HVLP Paint Sprayers among other types of paint sprayers. HomeRight is committed to deliver only high-quality and efficient paint sprayers to market and they have several top-notch sprayers which are in high demand. HomeRight paint sprayers come with an easy to understand user manual which ensures that it is easy to set up, easy to use and easy to maintain. Below you will find the best Homeright paint sprayer for sale today. 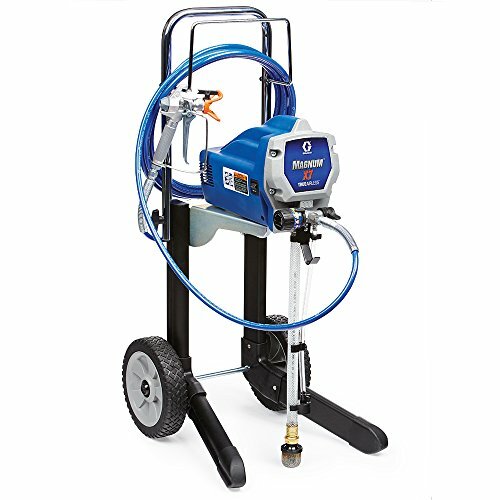 The HomeRight Finish Max C800766 Paint Sprayer has a weight of 2.76 pounds and a dimension of 5 X 9 X 12.5 inches. The product is made of brass and comes with a fine finish. 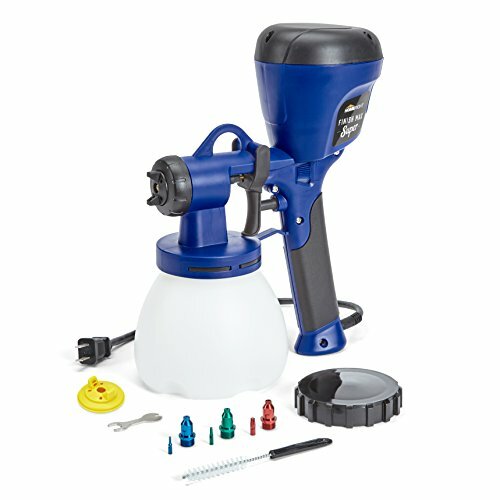 The company offer this paint sprayer within $100, it has an ergonomic construction and is built to last. The design and performance of the product ensures that it is the ideal pick for beginners. The product is easy to setup and is also very easy to clean. 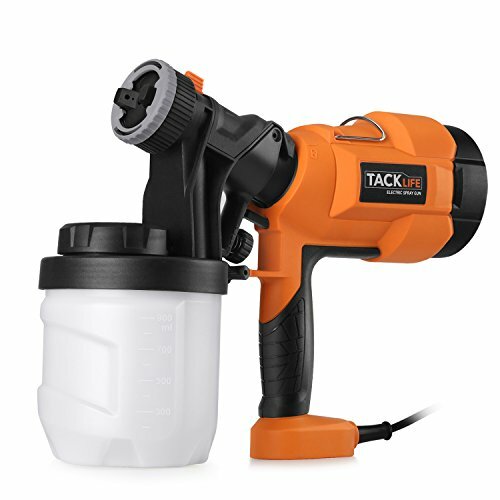 The paint sprayer comes with a triggering control knob which has three different settings that includes horizontal, vertical and round set to ensure versatility. The HomeRight Finish Max C800766 is capable of utilizing HVLP technology in paint sprayer. This helps create a fine finish which does not leave paint marks here and there. In addition to this, the product is lightweight which allows it to be easily moved from one spot to another without hassle. Moreover, the product can be used for a variety of painting projects, such as furniture, cabinets, craft tasks. One of the benefits of using this product is that it allows you to adjust the spray pattern while spraying. Moreover, the product is easy to use as it comes with easy to remove paint cups which guarantees that there are no hassles when the product is being used for large-scaled painting projects. The brass construction guarantees durability, a factor which ensures that buyers of the product obtain value for money. Moreover, it comes with a detailed instruction manual which simplifies the setup process as well as how to operate and maintain it. Furthermore, the product is affordable and offers more functionality than several other paint sprayers within its price range. The product comes with a 2-year warranty which ensures you can buy it with total peace of mind. Considering its affordability and functionality, the HomeRight Finish paint sprayer is ideal for any painting task, regardless of size. The HomeRight Super Finish Max Extra C800971 is a superb paint sprayer which comes with multiple spray settings. The product is easy to setup, easy to use and offers a fine spray painting finish. The product weighs 2.76 pounds and has a dimension of 9.5 X 6 X 12.5 inches. The product comes with a Wrench, Spray Nozzle and Cleaning Brush. 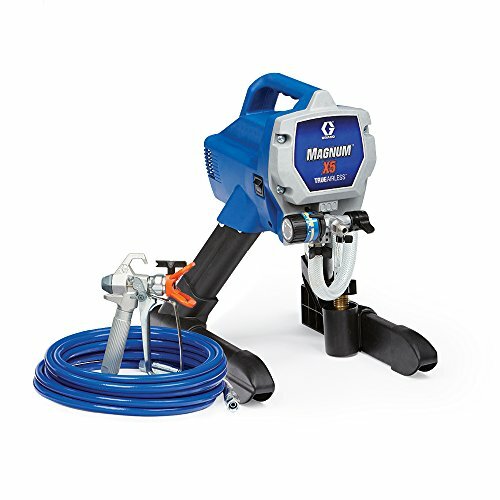 The paint sprayer has an ergonomic design which is aimed at ensuring optimal performance. The product is lightweight which makes it very easy to move around and use. 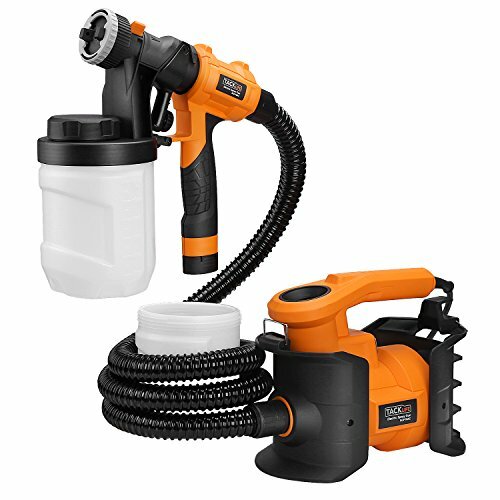 Moreover, the paint sprayer comes with an amazing turbine motor which makes it capable of spraying a high quantity of paint under low pressure. This guarantees a fine and smooth finish. Additionally, the product offers six tip sizes which allows a user to customize every painting project. By changing the tip, a user can adjust the spray pattern. This feature guarantees the product’s versatility. Additionally, it is capable of carrying 39-ounce of paint which ensures that there is less stopping to refill. The Paint Sprayer’s ergonomic construction guarantees easy cleaning. This paint sprayer reduces the amount of time and energy that would be expended in tiding up after a painting project. Additionally, it is equipped with a handle that is easy to control. Moreover, the product is optimized to spray both water and oil-based paints. It is worthy of note that the paint sprayer is suitable for both indoor and outdoor use. The fact that it is easy to setup and prep also ensures that it is the product of choice for commercial painting projects. This is because, it is designed with enhanced efficiency to save the time and therefore, money. Moreover, the construction and performance of the product allows a huge painting project to be completed in a timely and effortless manner. In addition to all these remarkable features, the product comes with a 2-year warranty which ensures that a buyer is guaranteed to receive value for every dollar spent. On a final note, the efficiency of the product is an advantage that cannot be overemphasized. Considering its functionalities and capabilities, the fact that it is affordable makes it a deal that you should not ignore. One of the amazing features of HomeRight Paint Sprayers is that they are very versatile. Their paint sprayers are capable of spraying different types of paint materials which includes chalk type paint, milk paint, latex, enamels, primers, clear sealer, varnish among others. The versatility of their products guarantees that a painter, armed with a HomeRight sprayer will receive value for the money spent. 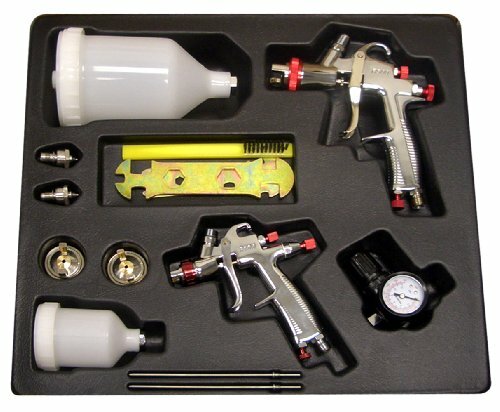 HomeRight Spray Guns offer multiple spray patterns. Their spray guns usually have three different spray patterns that include horizontal, vertical and circular. The benefit of this feature is that it allows a painter to customize each painting project. Another feature of the HomeRight Paint Sprayer brand is the adjustable volume control knob. This guarantees that a painter can determine the quantity of paints that comes out of the spray gun. 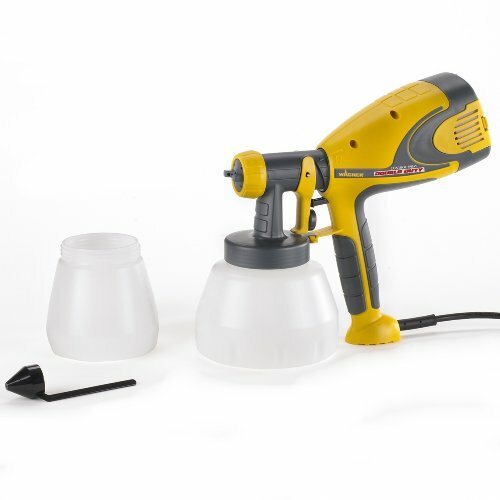 This feature ensures that the paint sprayer can be used for a variety of painting projects. One of the notable features of HomeRight Paint Sprayers is that their products are usually very portable and lightweight which guarantees that they are easy to use. Another fantastic feature of the HomeRight Paint Sprayer brand is the Spray Tip that ensures that the paint sprayer can be used to paint hard-to-reach surfaces like ceilings effectively. An essential feature of the HomeRight brand is the Atomizer. An Atomizer allows a paint sprayer to produce paints in fine particles. With the Atomizer technique, you will be able to spray thicker paints effectively. HomeRight brands also feature a quick release cup and these cups allow easy refill. This guarantees that their products can handle large painting projects with minimal stress. Moreover, the quick release cup guarantees that more painting can be done in less time. 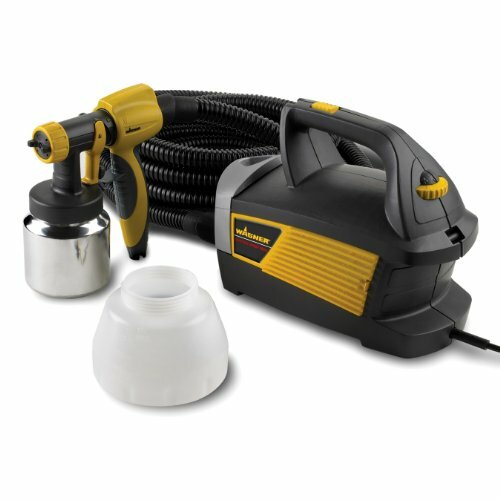 HomeRight paint sprayers are equipped with a powerful motor which offers between 80-120 watts. This greatly optimizes the performance because, a powerful motor would determine if a paint sprayer is able to atomize thicker paints. 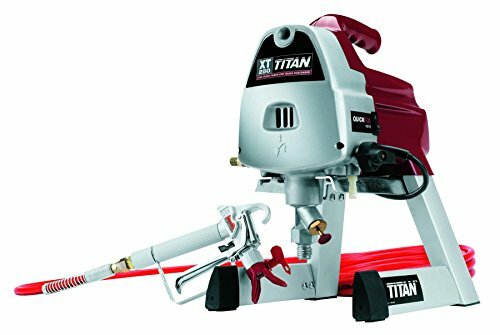 Moreover, a powerful motor helps produce high volume of paint and a powerful motor is required for great painting speeds which allows a painter to paint more in less time. 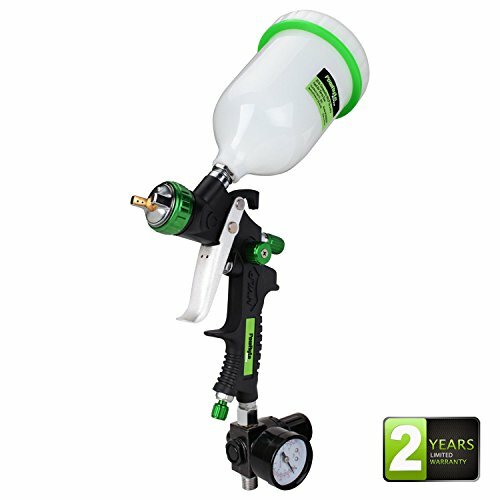 HomeRight Paint Sprayers come with long and flexible spray hoses which provides extra space for spray painting. Moreover, the flexibility guarantees that they are easy to use and handle and this feature ensures that their product is suitable for both indoor and outdoor usage. It is also worthy of note that all HomeRight products come with an operation manual that makes all setup and operation an easy process. Warranty is one of the most important factor to consider because the warranty is a good indicator of the quality of the product. You may have narrowed down your list to 2 similar products that cost the same, but one product includes 1-month warranty while the other comes a 2-year warranty. In this case, most of us would pick the 2-year warranty simply because if you cannot back-up your product for more than a month, then it says a lot about the quality. t is not hard to pick. All HomeRight paint sprayers come with a 2-year warranty which guarantees that a buyer receives value for money invested. The HomeRight Paint Sprayer brand is a reputable paint sprayer brand that is suitable for both indoor and outdoor painting projects. This is one of the compelling reasons why it is wise to invest in their products. Moreover, the company has been manufacturing paint sprayers for 25 years that ensures top-notch expertise in developing innovative paint sprayers. 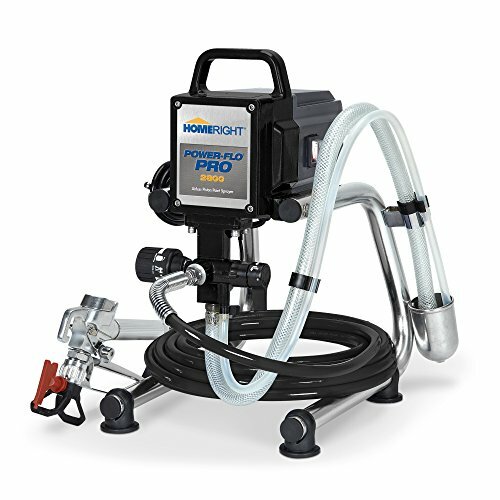 HomeRight Paint Sprayers come with several amazing features which greatly optimizes their performance and reliability. Additionally, replacement parts for HomeRight products are easily accessible if you run into any problems. To cap it all, the fact that all HomeRight products comes with a 2-year warranty ensures a fair deal for everyone.